Last Sunday we had the most delightful knock on our door. Some friends were dropping off some fresh picked peaches - lots of them! Happiness may truly be in nature's bounty. Or, is it, happiness is in the kindness of others? 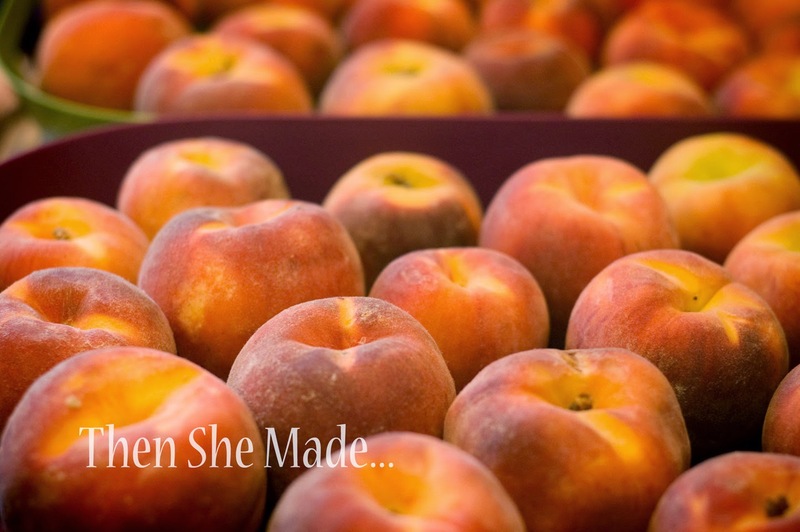 Either way, that box of peaches has sure brought a lot of happiness to our home. We've enjoyed them tremendously. Just look at this deliciousness. Directions: Preheat oven to 375 degrees. Grease a cookie sheet and set aside. (I actually prefer to skip the greasing step and just bake on Parchment paper.) Combine all dry ingredients in a medium mixing bowl. Using a pastry blender or fork, work butter into dry ingredients until butter pieces are pea sized. Combine milk, yogurt, egg, and vanilla in a small mixing bowl and mix well. Then pour mixture into the dry ingredients and mix just until ingredients are combined - don't over mix. Stir in fruit and chocolate chips. Spoon about 1/3 cup of batter for each scone onto greased cookie sheet. Optional: Sprinkle lightly with cinnamon and sugar before baking. I made one pan with the cinnamon and one without and I liked them better with the cinnamon on top, it kinda tasted like a yummy peach pie. Bake for 18-20 minutes or until golden brown. DO NOT over cook. In fact, for best results pull them out when the tops are just barely starting to brown. A batch will make about 18. I left some for my family but still had plenty so I made a special delivery to friend that is clear across the office from me at work. Even though we work together, I very rarely see her so I felt a treat delivery was needed. She posted a photo of her morning treat on Facebook, it's above, I stole it from her. Who doesn't love a random treat for no reason! I know I do. And, you can't see it much but I put her treat in a little parchment paper envelope. Did you know it's really easy to make little treat envelopes? Cut a piece of wax paper or parchment into a long strip. Fold over the ends, then fold paper in half and staple the sides together. Super easy and it makes delivering a treat a breeze. Next just attach a little happy note. So, there you have it. If you have some peaches, go bake some scones! They will make your taste buds happy. And, speaking of happy things. Here's something else that might make you happy ... it makes me happy. Miss M, my quiet, reserved child is really a big goof ball - not many people know that. We can't drive anywhere without her "car dancing". So, here you go, it's a happy little song by Millennial Youth Pirates called "Dance Love" featuring Mindy Gledhill. This song has been on repeat in our home, and car, and therefore it's part of her car dancing. Silly kid! Oh, and I may have a little appearance towards the end - yep, I joined in briefly - we made memories! Miss M is adorable! Loved it! 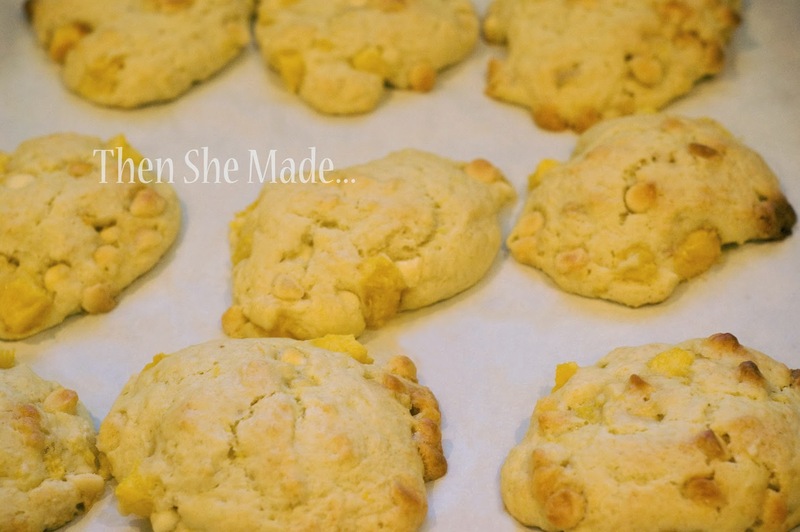 I just made these for my peach loving son - They are amazing! Thank you so much for sharing! I love Miss M's car dancing! That was awesome and put a huge smile on my face! Thanks for sharing. I needed that smile.